Immensely convenient, you cannot get any closer. This is walking distance and only 1-4 minutes depending on where you find a space and park up. 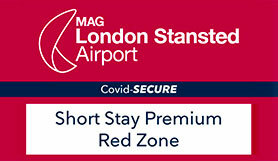 If you're going on a short business trip, short break, with your loved one, family, friends or just on your own, you can be sure to kick off the trip without any hassle when parking in a premium short stay car park. It couldn't be easier... Park up, keep your keys and take the short stroll into the check-in area in the terminal. Parking bays for Blue Badge holders are available in each of the Short Stay Car Parks. Help points are located close by. Park in the RED Zone only.